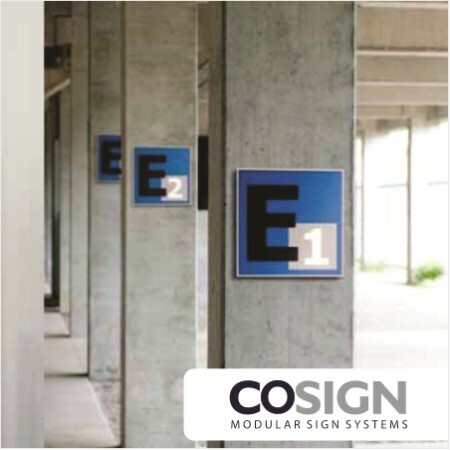 Cosign introduces TOTEM, an innovative series of aluminium profiles designed to construct totem pylons for indoor and outdoor use. 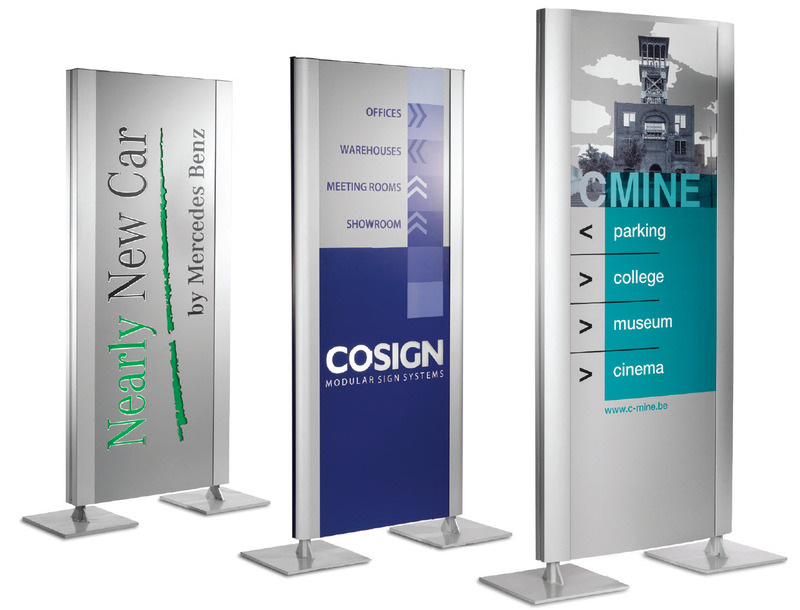 The TOTEM range consists of a limited range of profiles: One basic profile and three decorative cover profiles allowing for a rectangular, elliptical or rounded design to be constructed. The distinctive feature of this intelligent TOTEM system is the way a totem pylon is constructed. 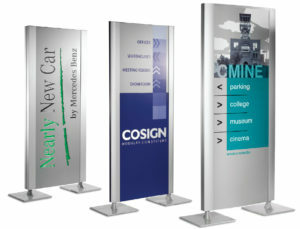 First, a set of two basic profiles are mounted around an aluminium or steel tube profile or internal frame of the totem pylon and then, two cover profiles are mounted to the basic sections. By using square or rectangular tube profiles with different outside dimensions and wall thicknesses, it is possible to create totems with a variable depth e.g. 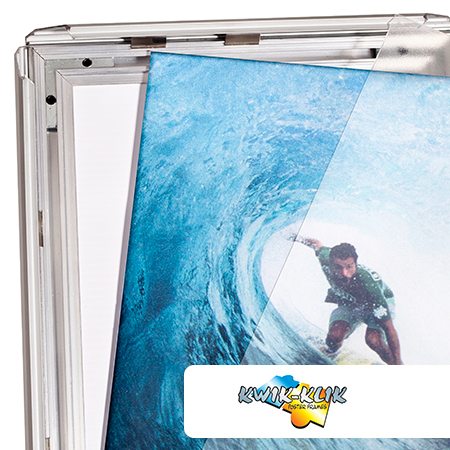 10, 15 or 20cm and a height of up to 6 m with the same basic and cover profiles. 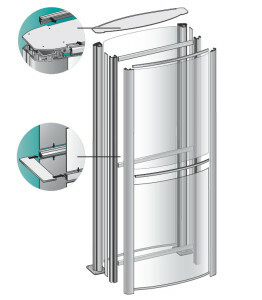 Cover profiles in different shapes allow for numerous contemporary designs and panels can be attached without screws or by using hidden fixings. 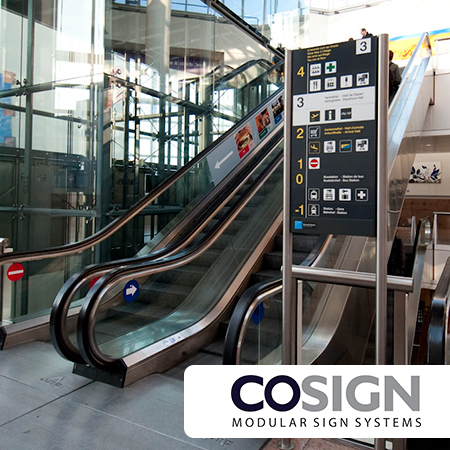 The user-friendly construction facilitates easy maintenance and graphic updates. 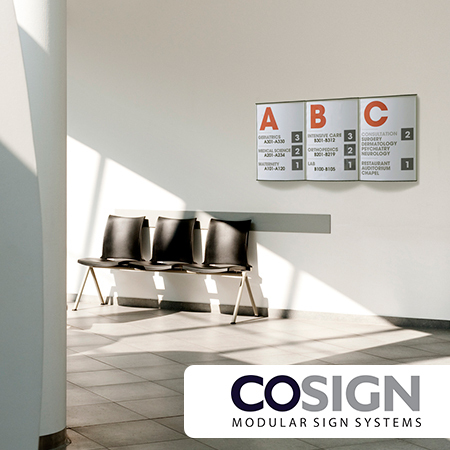 EASE OF CONSTRUCTION & MAINTENANCE – Panels can easily be lifted out frontally in order to update the panels/graphics and to facilitate replacement of any damaged electrical components. 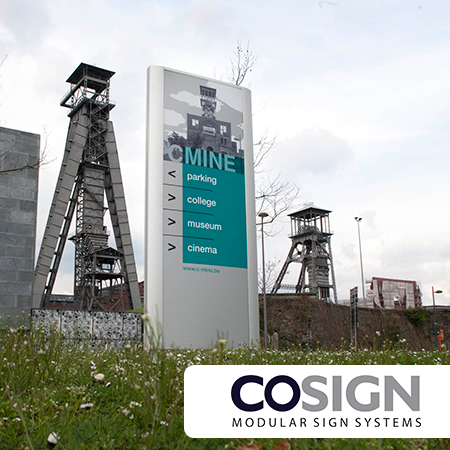 DURABLE CONSTRUCTION – In selecting particular tube dimensions and/or wall thicknesses you can create very tall totems up to 6m in height which can withstand severe weather conditions. ARCHITECTURAL DESIGN – Cover profiles in different shapes allow for numerous contemporary designs. Panels can be attached without screws or by using hidden  fixings. are available in a mill finish for painting to your customer’s desired colour or in a stylish silver anodized aluminium finish.